Senator Mark Allen was elected to the Oklahoma State Senate in November 2010. He has served as the Chair of the Energy Committee and Vice Chairman of both the Transportation and Veterans and Military Affairs Committees. He's also served on the Agriculture and Rural Development, Insurance and Judiciary Committees, along with the Appropriations Subcommittee on General Government and Transportation. 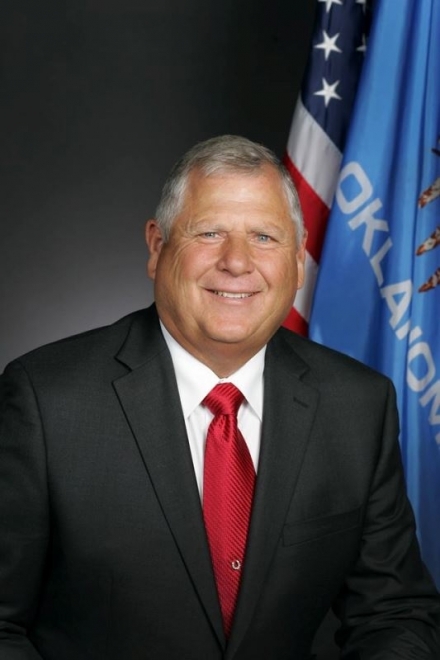 He represents Oklahoma Senate District 4 which is comprised of Sequoyah County and the northern half of LeFlore County. In 2016, he was elected Majority Whip and appointed Sportsman’s Caucus Chair and Chairman of the Transportation Committee. He currently serves as the Chair of the Energy Committee as well as a member of the Appropriations, Education, Rules, Transportation and Appropriations Subcommittee on Select Agencies. Mark and his wife Nikki Allen are the owners of Allen Rathole, Inc., a family-owned business specializing in oil field service. Mark and Nikki have been married 22 years. They are members of the Victory Worship Center in Spiro, Oklahoma. Mark was born and raised in Enid, Oklahoma and moved to Wilburton in 1962. In 1963, Mark’s father started Allen Rathole. Mark worked side by side with his father in the business until he and a partner bought the business from Mark’s father in 1989. Mark and Nikki continue to own and operate Allen Rathole today which employs 16 people. Mark Allen is a graduate of Wilburton High School and served in the U.S. Navy Seabees as a heavy equipment operator from 1968-1970. Except for the time spent serving his country, Mark has always lived in southeastern Oklahoma. He knows rural values and wants to ensure that we preserve our close-knit communities and agricultural heritage. Mark is a firm believer in God and country and the Constitution our United States was built on, and praises the men and women who defend it. A staunch conservative, Mark Allen is also concerned about safeguarding traditional values, keeping our families and communities strong and ensuring that our natural resources benefit Oklahomans and create jobs in this state. An endowment member of the NRA, Mark Allen stands strong for Second Amendment rights. Other affiliations include Pajaro Gun Club Board of Directors, life member of the National Sporting Clays Association, Ducks Unlimited sponsor, life member of the American Quarter Horse Association, Sallisaw and Poteau Chambers of Commerce, and Oklahoma Independent Petroleum Association. Vote Mark Allen November 6th!